Defense wins championships, but defense prevented a goal being scored in nearly two hours of soccer, leading to a tie. Overtime did not allow either Harvard (3-4-1, 0-0-1 Ivy) or Penn (6-1-1, 0-0-1) to emerge victorious in the Ivy League opener this past weekend. The match, hosted at Rhodes Field in Philadelphia, Pa., was a battle of defenses, and both goalies refused to let their teams down. Crimson senior goalkeeper Danielle Etzel shut out Penn’s four shots on goal to receive her third solo shutout of the year. Unfortunately for the visitors, Quaker junior goalkeeper Kitty Qu was up to the task, denying Harvard’s five shots on goal to earn her sixth solo shutout of the year. Freshman defenseman Jillian Wachira led the Crimson’s offense with three shots, while sophomore forward Murphy Agnew and senior midfielder Leah Mohammadi contributed two shots apiece. Penn senior midfielder Allie Trzaska led the Quakers with six shots, three of which were on goal, but all easily handled by Etzel. None of Harvard’s 12 shots nor Penn’s 15 were enough to change the outcome of the scoreless game. The defensive matchup was a stalemate from the start, with both touted defenses holding tough at the beginning of the contest. The first true opportunity did not come until 17 minutes into the game, as the Quakers fired a shot wide of goal. 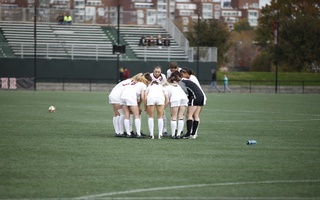 The Crimson, matching with an attack of its own, saw a shot from freshman midfielder Taylor Nielson miss over the crossbar just over four minutes after Penn’s early opportunity. The Quakers kept up the pressure, testing Etzel early. The Harvard goalie recorded her first save on a shot in the 26th minute, leading to a Penn corner. The corner gave the Quakers another opportunity, but the ensuing shot was blocked. The first half only resulted in six shots combined, limiting both teams’ ability to gain any momentum. The intensity picked up in the second half, with shots and saves finally becoming frequent. Within the first few minutes of the second 45, Wachira attempted a strike off a corner kick, but a Penn defender was able to block and clear the ball. A few more corners throughout the match provided scares for both sides, but the defense consistently prevailed. Both teams had opportunities to score in the extra sessions, including an attempt by Mohammadi in the first period, but missed over the bar. This would prove to be the last offensive chance for the Crimson. The second overtime saw only the Quakers on the attack. Less than a minute and a half into double overtime, Etzel came up big for Harvard with a crucial save to keep the game tied. Penn would see one more chance to earn a late victory, but a wide shot in the 108th minute held the game scoreless. 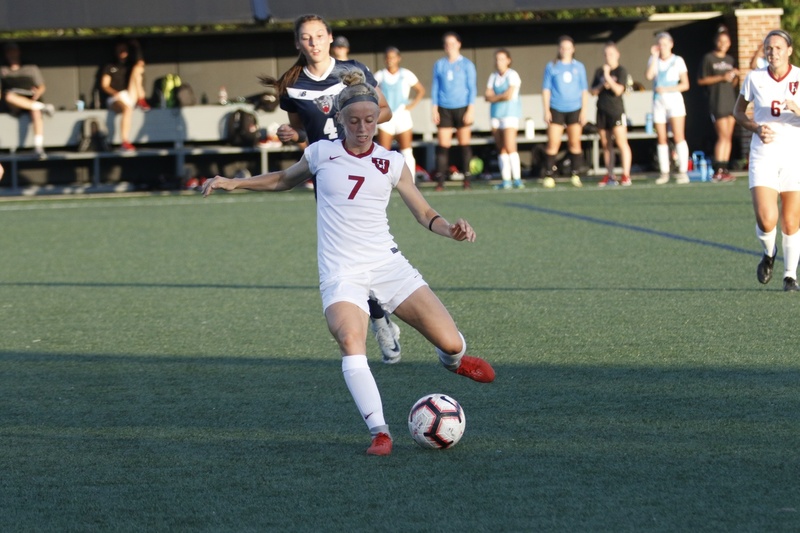 This was the fourth time the Crimson has been held scoreless this season, while it was only the second time for the Quakers. Both teams are on a streak of shutting out teams; Harvard is on a 466 consecutive minute streak, and Penn is on a 290 consecutive minute streak. The Quakers’ 6-1-1 record is the best start in school history. Harvard will look to secure its first Ivy League victory against storied rival Yale. The Crimson trailed for nearly three-quarters of the contest and could not overcome the deficit, falling, 8-7, to the Quakers in Philadelphia this Saturday. 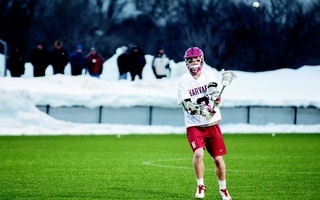 The result, which came on senior day, ended a trying season for Harvard. In the past few weeks, the Crimson has played several close games but struggled to earn a win.